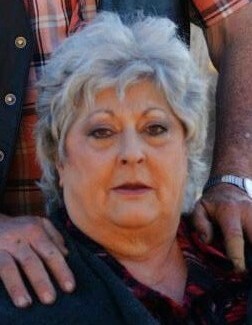 Faye Loreda Bosley Wingate, age 69, passed away Wednesday April 3, 2019 peacefully in her home surrounded by her family, in Morgan, Utah. Faye battled multiple long term illnesses for many years. She will be sadly and sorely missed by her loving family and friends. Faye was born on April 23, 1949 to William Grant and Loreda Bosley in Tremonton Utah. Faye spent her childhood in Ogden and Clearfield, Utah. She met the love of her life Robert Dee Wingate in Ogden, Utah and they were married November 18, 1966. They moved to Bountiful, Utah where they resided for two years. There they had their two children Wayne C. Wingate and Cindy Faye (Wingate). They then moved to Morgan, Utah where they built their home and spent the rest of their lives together. Faye worked at Sierra Lingerie for 10 years and worked for Ronny Porter’s mink farm and Bushwackers in Morgan Utah. She then owned and managed her own cleaning company, Krystal Palace Cleaning. She spent the rest of her life being a homemaker and spending time with her family. Faye is survived by her daughter, Cindy F. (Wingate) Jackson and spouse Darren Lousberg of Morgan, Utah; her four grandchildren: Cassie F. (Willy) Higginson of Roy, Utah; Chad (Heidi) Tobias of South Weber, Utah; Crystal M. Carter of Morgan, Utah; and LeeAcy R. Carter of Morgan, Utah. She was also survived by two great grandchildren: Kenickie Ryan Tobias and Nikolai Liam Snyder. She was also survived by her family dog LeRoy; also her three brothers: Bill (Cora) Bosley, Kevin Bosley, Glenn Bosley; and two sisters: Rhonda (Wes) Hill, Karla (Kevin) Kendall; and many nieces and nephews. Faye is preceded in death by her husband, Robert Dee Wingate; her son, Wayne C. Wingate; her parents William Grant and Loreda Bosley; her in-laws Clarence Acey and Mary Ellen Wingate; and her sister-in-law JoEllen D. Carlile. The family would like to thank Encompass Hospice, and especially Corey Blonquist, for all of their care for Faye over the last few years, as well as Pineview rehab, Morgan EMS, and Alan Bybee at the Morgan Health Center. Memorial services will be held on Saturday April 13, 2019 at 11 a.m. at the Porterville LDS Church, 2700 S. Morgan Valley Drive.